Here at Crown Oil, we believe excellent service before and after your order is paramount to our continued success. 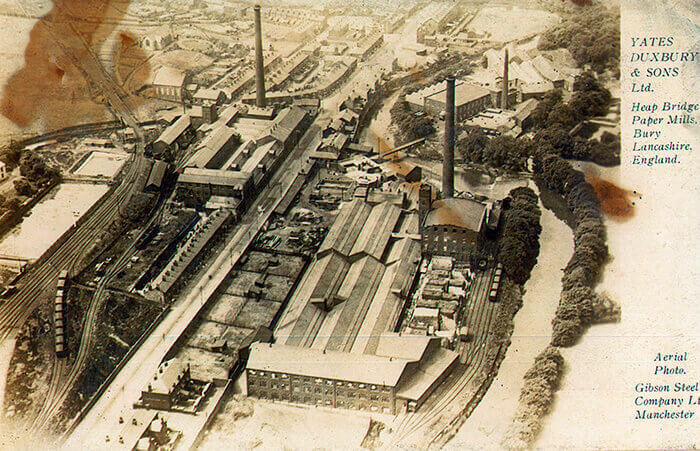 When combining this with our first-class local knowledge, competitive fuel prices and efficient deliveries, we have remained the number one choice for businesses and homes throughout the UK for over 70 years. 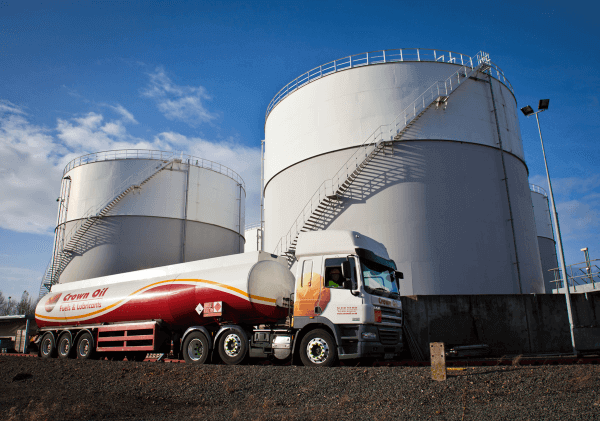 Whether you’re a hospital, school, logistics company or homeowner, our wide-ranging tanker sizes and fuel depots all over the UK, make it possible to reach you in no time at all, no matter where you’re located. 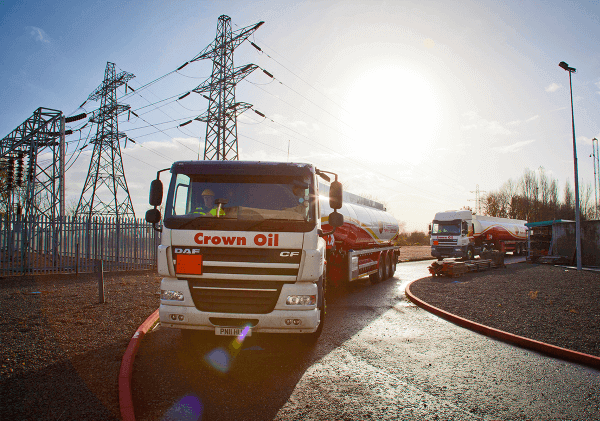 We understand the pressure running low of fuel can cause, which is why we ensure our delivery times are kept to a minimum, so you never have to wait long for that much-needed supply. You’ll find a full range of fuels, oils and environmental services here on our website, but of course, if there is anything else you’re looking for and have not been able to find on the website, please call us on 0845 313 0845 and we’ll do our utmost to facilitate your needs. 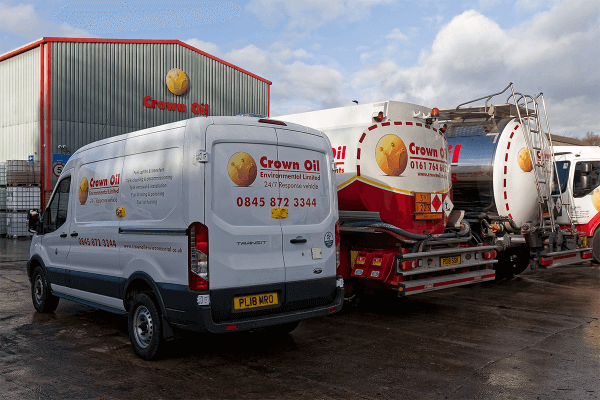 Due to the continued success of our environmental services division, we’ve since launched a dedicated website, Crown Oil Environmental, to provide further information and aid businesses with their fuel maintenance and environmental responsibilities. We work hard to provide red diesel (gas oil), diesel (DERV), kerosene, industrial heating oil, domestic heating oil and lubricants at the best possible prices, whilst remaining an independently owned, family-run fuel and lubricants supplier. Whatever your fuel and lubricant needs, you can rely on Crown Oil to take care of them in a way that suits you. Call 0845 313 0845 today. Established in 1928, Harry Greensmith began selling lamp oil door to door in Heywood, where he gained the affectionate nickname “Harry Lamp Oil” due to his kind manner and reliable service. After years spent growing his business and supporting his local community during WW2, Harry expanded his product range to include the bulk sale and distribution of fuels and lubricants. 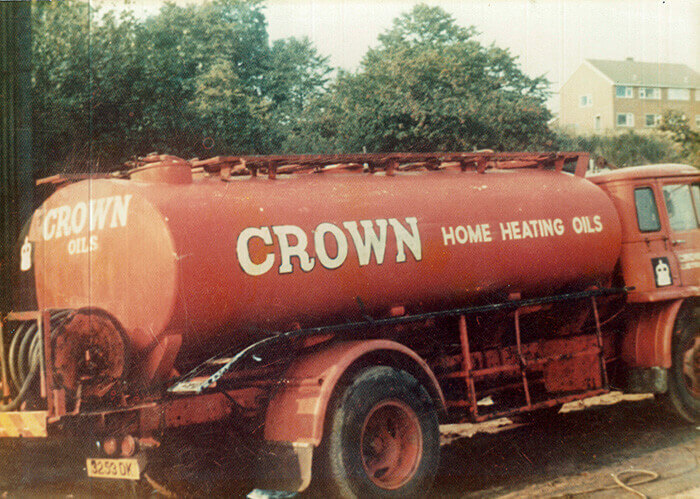 Today, Crown Oil continues to deliver the reliable, friendly service first made famous almost a century earlier by Harry Greensmith, providing quick fuel & lubricant deliveries & environmental services UK-wide. With next day deliveries for all of our fuels, this is usually ideal for most customers. But in the unfortunate event that you do ever run low or dry, we can deliver your fuel on the very same day, with our 24/7 emergency fuel delivery service. Please note, an additional call out charge will apply for out of hours fuel deliveries. We’ve worked hard to establish a vast network of supply depots across the country as well as a wide range of tanker sizes. This enables us to not only provide a fast and efficient delivery service, but also ensures we can provide a reliable service to our customers across the UK. With us, no delivery is too large, or too small. Whether you need a full 36,000 litre delivery by an articulated tanker, 500 litres via our ‘baby tanker’ or a 205-litre barrel, we have the tools and experience to make your delivery as smooth and hassle-free as possible. 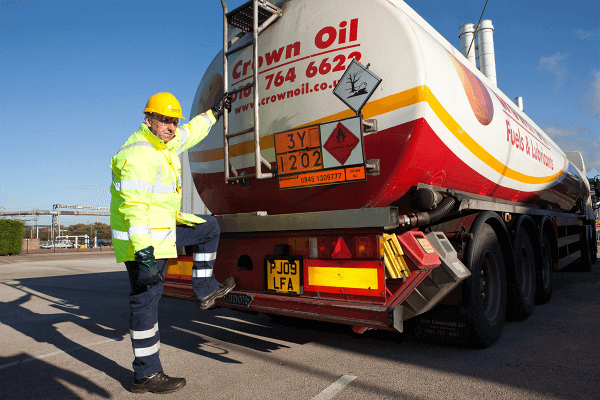 Made possible with our vast supply of oil depots, no matter where you are in the UK, we will do our very best to ensure our full range of fuels and lubricants reach you within 24-48 hours.